by Lamar Design Group, LLC. Works on all mobile devices, tablets and PCs. Reatime Status of each Lot. 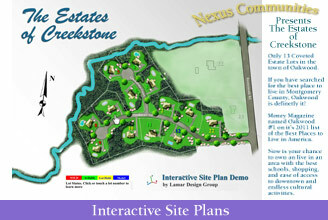 Lot details accessed by mouse click or touch. Menu of Models with elevation thumbnails that can be built shown when Lot selected. 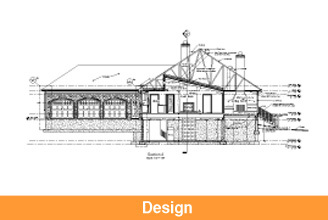 Elevation Thumbnails appear as Per Plan or Reverse Plan depending on the Lot. 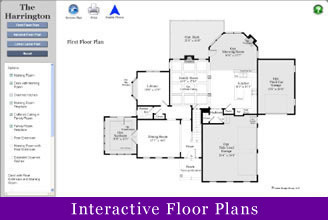 Program retains Lot information through Project page to Floor Plans. 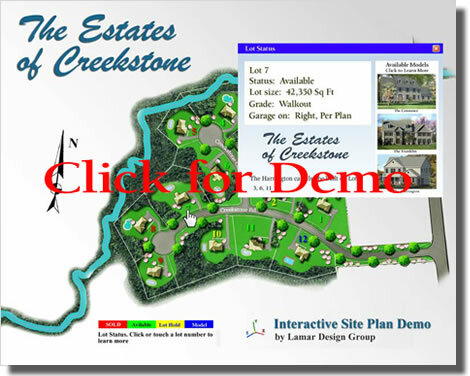 ie, if the user selects a Lot that features a Walkout from the basement level and a Reversed plan, that information will be shown on the Interactive Floor Plans, even if the Product Page is visited first. 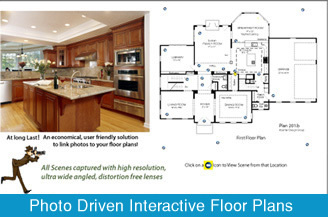 Interactive Floor Plans link back to Site Plan showing Lots where a selected Model can be built. 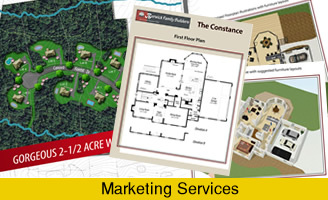 Consumers can print a personalized brochure incorporating Project and Product specs. *Database driven. PHP and ASP versions available. Host on your server or ours. Easily updated by your personnel. 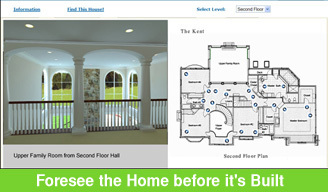 In-valuable tool for consumers, agents, banks, and appraisers.